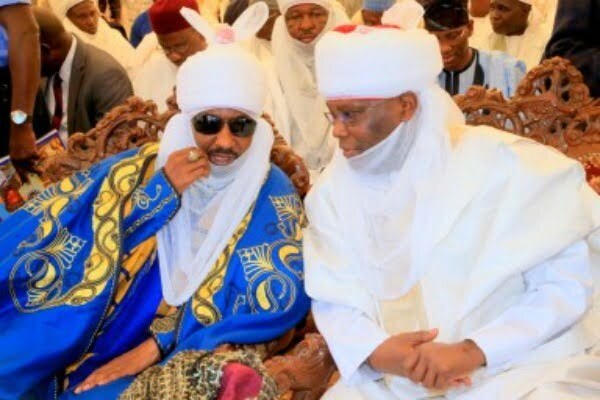 The Emir of Kano, Malam Muhammad Sanusi II, has advised Nigerians ‎to refrain from negative acts and vote peacefully during the forthcoming general elections. ‎NAN reports that Sanusi gave the advice when the People Democratic Party (PDP) Presidential flag bearer, Alhaji Atiku Abubakar, paid him a courtesy visit at his palace in Kano on Sunday. ”Election is not a war, there is no need to shed blood and there is need to caution and enlighten the public against violence. ”I urge eligible voters to vote for whoever that is competent and capable they think will take them to the promise land,” he said. According to him, what the people choose is what is going to serve them for the next four years. The Emir, who urged eligible voters to obtain their Permanent Voter Cards (PVCs) before the elections, called for continuous prayers for peaceful elections in the country. Sanusi also commended Abubakar for his contribution for education by building a befitting university in his hometown. Earlier, Abubakar said he was in the palace to seek for the blessings and prayers of the emirate council. Abubakar was accompanied to the palace by his running mate, Mr Peter Obi, Senate President, Bukola Saraki, PDP National Chairman, Prince Uche Secondus and Sen. Rabiu Kwankwaso. Others are; former Minister of Foreign Affairs, Alhaji Aminu Wali, former Cross River Governor, Mr Liyel Imoke, former Minister of Power, Alhaji Tanimu Turaki, Sen. Abdul Ningi, ‎Hajiya Baraka Umar and Kano PDP governorship candidate, Abba Kabir Yusuf.